I was lucky enough again this spring to get an exclusive pass to the (bi-yearly?) 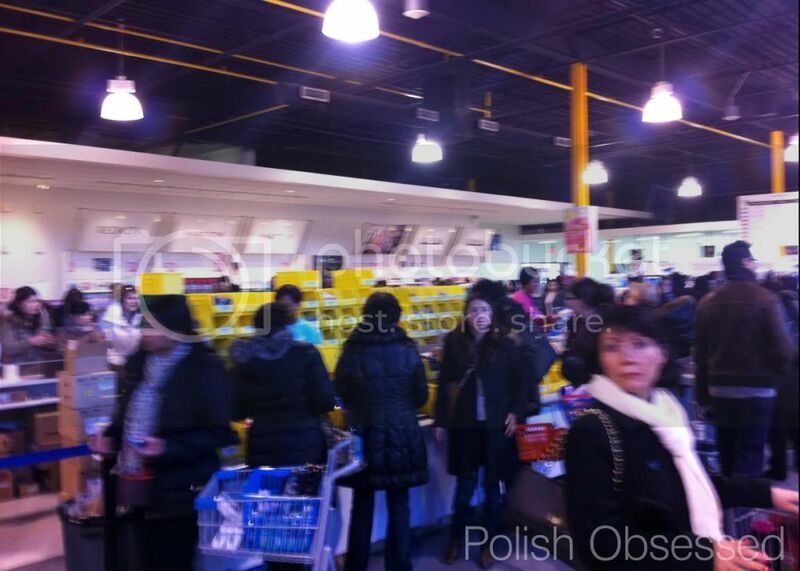 L'Oreal warehouse sale. Products vary by day, however you have the typical fragrances, beauty products, cleansers, hair products, and my favorite, nail polish! The brands preset this season were L'Oreal Paris, Mayelline and Essie. Super crowded, as always. Surprisingly it was actually more busy than previous years, especially considering this was a Wednesday atfernoon! L'Oreal and Maybelline polishes were selling for between $2.00 and $2.50 each, while the Essie's were $4.75 each. 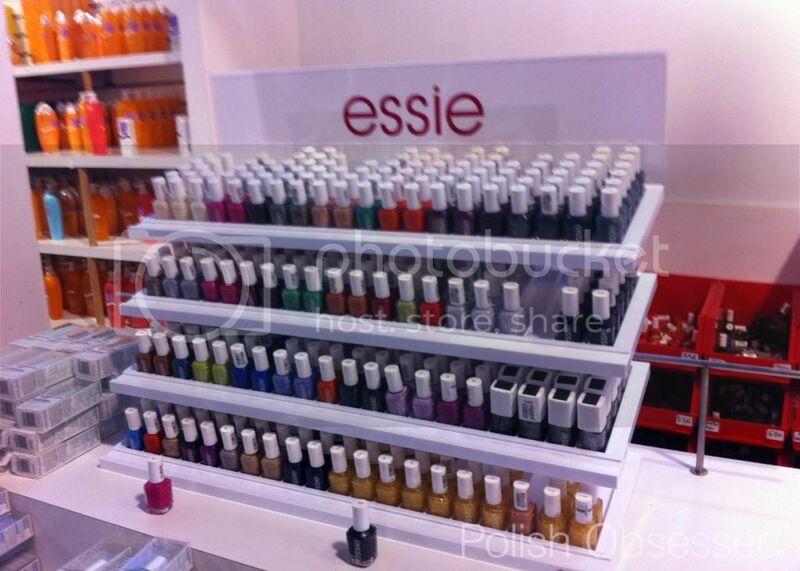 They had an extra special promo with Essie, buy 5 get 1 free and buy 9 get 3 free. The selection was picked over, this being the second week of the sale, so I went for the buy 5 get 1 free deal. I picked up Bouncer It's Me, Boxer Shorts, The Girls Are Out, Saturday Disco Fever, It's Genius and Naughty Nautical. Bouncer It's Me and Boxer Shorts. Bouncer It's Me is a cobalt blue jelly which dries to a satin finish. Two coats are shown in the swatch below. Boxer Shorts is a dark cornflower creme, two coats are shown in the swatch below. The Girls Are Out and Saturday Disco Fever. The Girls Are Out is a deep purple leaning magenta creme with a subtle silver shimmer. Two coats are shown in the swatch below. Saturday Disco Fever is a bright orange neon, it dries to a satin finish. Two coats are shown in the swatch below. Naughty Nautical and It's Genius. It's Genius is a maroon shimmer with a gold shimmer running throughout.Two coats are shown in the swatch below. Naughty Nautical is my FAVE pick! It is a teal creme with a subtle silver shimmer, unfortunately even more subtle than The Girls Are Out. Two coats are shown in the swatch below. Did you attend this seasons L'Oreal sale? What did you pick up?